In a unanimous resolution passed today, the Kerala High Court Senior Advocates Association has expressed its full support and solidarity with the members of the Kerala High Court Advocates Association and the lawyer community at large. Deliberate attempt of the media in maligning the legal fraternity and the judiciary by vicious propaganda were condemned and the Association has ‘demanded them to stop such malicious acts forthwith’. Endorsing the restriction imposed on the media by the High Court, the Association stated that it, in no manner infringes the rights of the media in reporting news from the Court. Last week, The High Court lawyers had abstained from court proceedings for two days to protest alleged attacks against lawyers.Read about recent happening in Kerala High Court here. 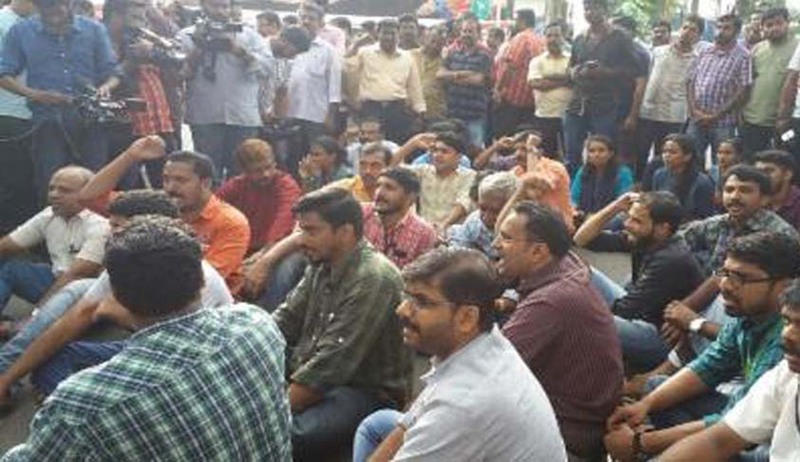 On Monday, taking Suo motu cognizance of incidents happened between Media persons and Lawyers, First Bench of High Court of Kerala, comprising of Acting Chief Justice Thottathil B Radhakrishnan and Justice Anu Sivaraman directed the Police machinery and State Government to ensure that there is no assembly or demonstration or collective expression of opinion in the court premises and also in the roads and streets around them.